New arrival Convex Cubicle Mirror for Personal Safety and Security Clip On Desk Rear View Monitors or Anywhere (6.69" x 2.95", Rectangle). 100% 360 degree adjustable to any view angle as you want. A good and basic tool allows you to have "eyes in back of your head". 1 x metal stand and clip. * Heavy Duty: all metal stand, heavy clip with sponge mat, metal stem and joint, 100% 360 degree adjustable to any view angle as you want. * Large View: 6.69" x 2.95", rectangle convex mirror, real HD glass and frameless. 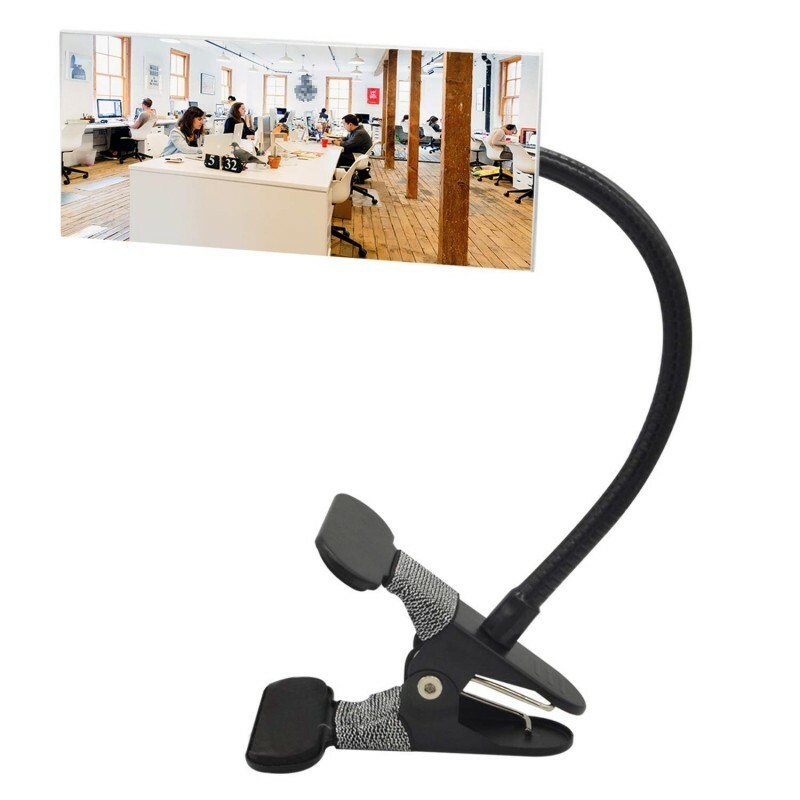 * Universal Use: clip-on design, could clip up to 2" desk, cabinet, cubicle, PC or attach to other items. * Purpose: see yourself or rear surrounding for safety and security, as cubicle or desk rear view monitors. * Easy to install: just clip on, could be moved to anywhere as you want, unlike other stick-on mirror that could not move. I use this at work so see if someone is standing behind me to ask a question. We all joke its my rear-view mirror and my co-worker immediately ordered the same one! A perfect security device for my cube! There is this man at work that likes to tiptoe up to the cube then spring around the corner. He thinks it's funny. It is not. I've asked him over and over to stop. Now I see that jerk coming! :) It's a most excellent device!